Date of publication: October 27 2015 . Spices in cooking - it as reactants in chemistry. It is necessary to add a pinch of paprika just and your meal "starts playing with new colors," and if the season is also a sprig of thyme or rosemary, it is simply an "explosion" of incredible flavors and new taste sensations. Those who have discovered the beauty of spices, will never be able to give them up. 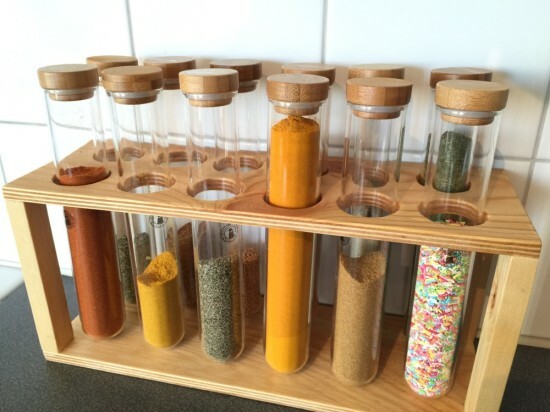 However, in order to get your spices were always fresh and fragrant, they must be properly stored. 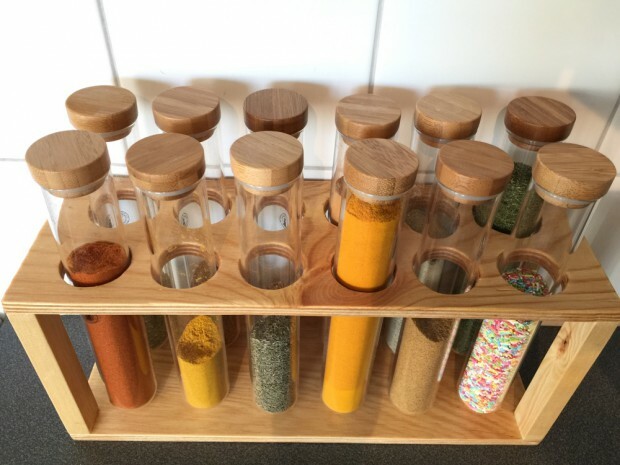 Store spices in the kitchen - A delicate matter, they can not leave for a long time in the open package since they will lose all its flavor and enjoy the large jar with a lid is extremely inconvenient, and they take up a lot of space. Take a sheet of plywood and two plank sizes Scrollsaw 33 11 cm x cm. From cut a small piece of paper the same size as the plank of plywood. 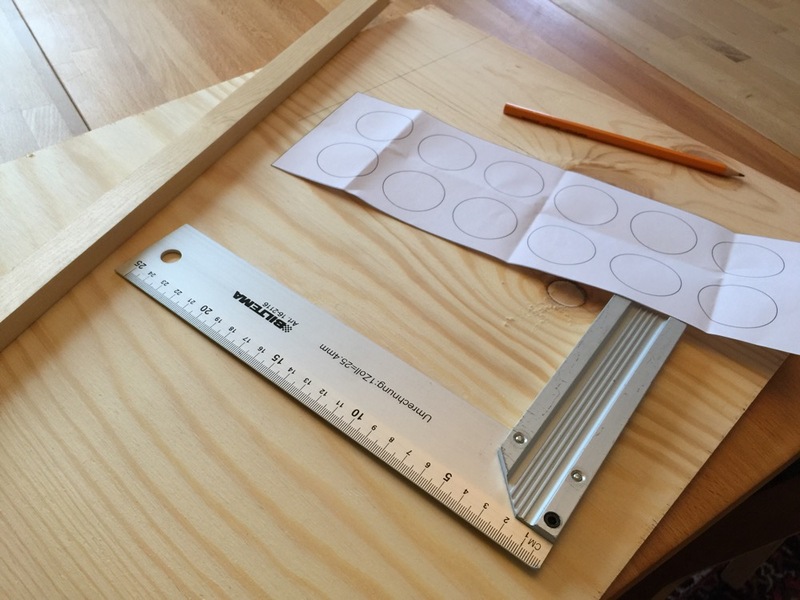 On this sheet, using a compass, draw a circle 12, each 4 cm in diameter. This will be our pattern. Take one tablet of plywood and transfer paper circles with her. 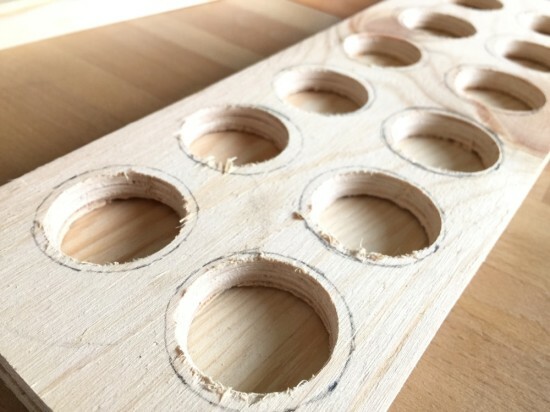 Next, the most important matter: it is necessary to cut out the circles on the plywood. We remove all the irregularities in the wood parts and begins to stick together using wood glue. 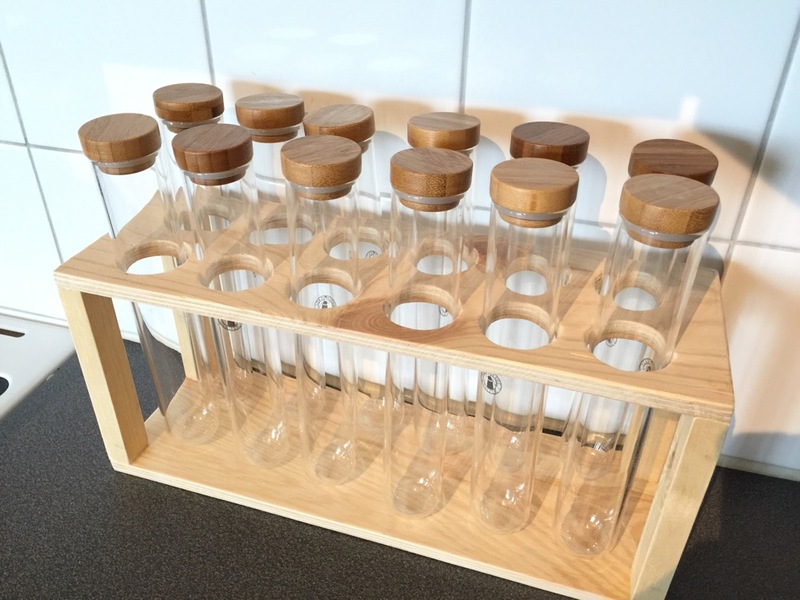 Here's a little roomy shelf turns on 12 containers in the form of tubes. 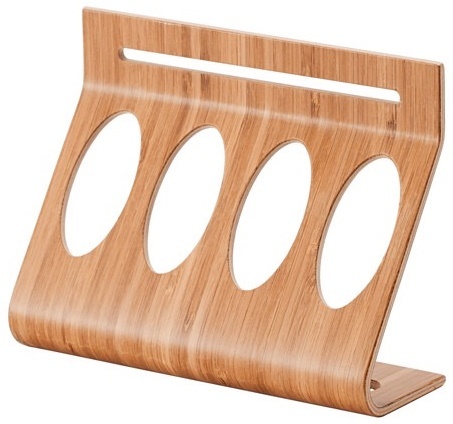 This shelf can be painted or just cover with oil. We can only fall asleep to your favorite spices and herbsAnd households to surprise their culinary masterpieces. If you are unable to make such a stand for spice, do not worry, you can buy ready-made. AT IKEA catalog you will find stand Rimforsa 4 on a tube container. Such stand You can not just put on the table, and hung on the wall, saving space in the working area of ​​your kitchen.